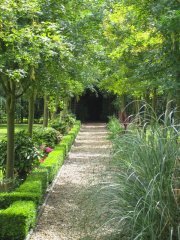 Sycamore Landscape Services operate throughout West London and Home Counties carrying out all types grounds maintenance and landscaping to both commercial and domestic clients. Our work is carried out to the highest standards with full public liability insurance, by highly qualified, experienced, pro-active and conscientious staff. We offer a professional yet friendly service, situated just five miles from both the A1M and M1 motorways, we have easy access to the motorway networks allowing us to operate though out West London and Home Counties.